Odd One Out are very interesting Picture Puzzles type. These brain teasers are also known with the name Spot the Different. There are also another similar puzzle type call Spot the Differences in which one has to find the difference between two given pictures. However in Odd One Out Picture Puzzles one has to find the different picture image among the four given pictures. 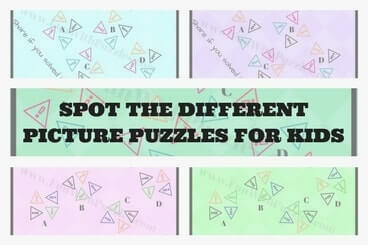 In these Spot the different Picture Puzzles, there are four similar looking pictures in each brain teaser. You challenge is to find the picture image which is different from other three pictures in each of these picture puzzles. 2. Which picture is different from others? 3. 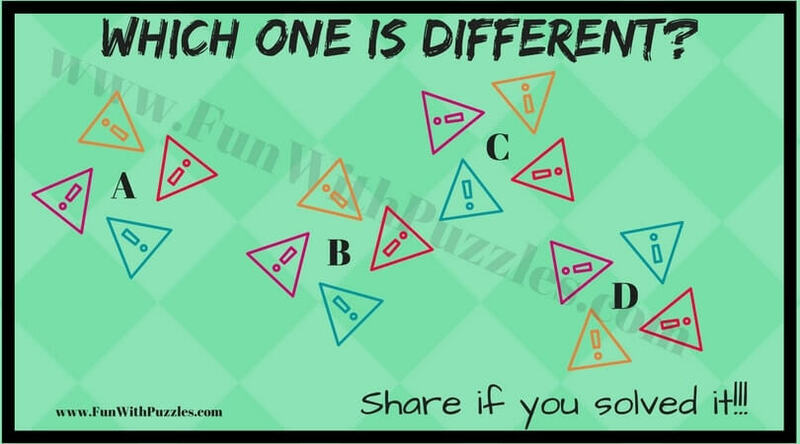 Can you find Odd One Out? 5. Which picture image is different from the other three picture? 1. Mind Twisting Out of Box thinking Puzzles: These puzzles will twist your mind and will make you think out of box. 2. 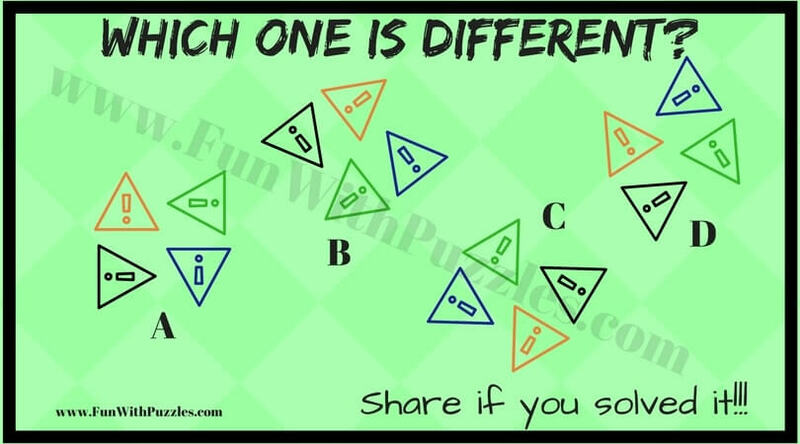 Out of Box Thinking Fun Brain Teasers: These are fun brain teasers to challenge your mind. 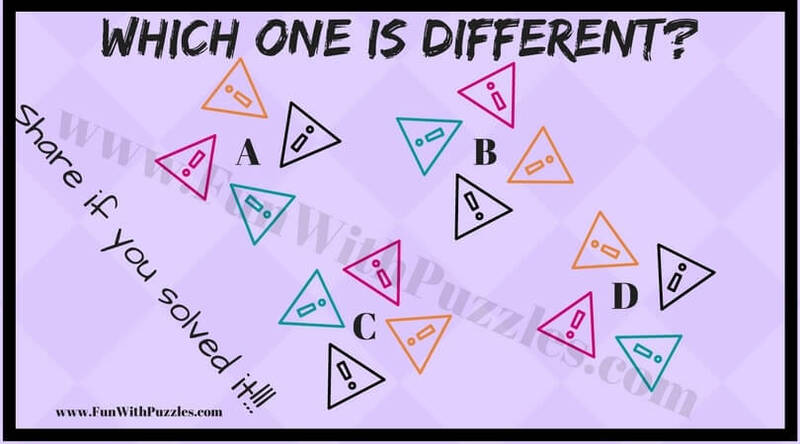 These brain teasers are very much liked by the the visitors of this website. 3. Simple Fun Brain Teasers for kids with Answers: These are easy looking simple fun brain teasers. However adults will find it tough to solve, but kids will be able to solve most of these brain teaser very easily. These simple fun brain teasers will make you think like kids. 4. Can you find the mistake? Picture Puzzles: These are the picture puzzles in which your challenge to find the mistake in the given picture puzzles images. 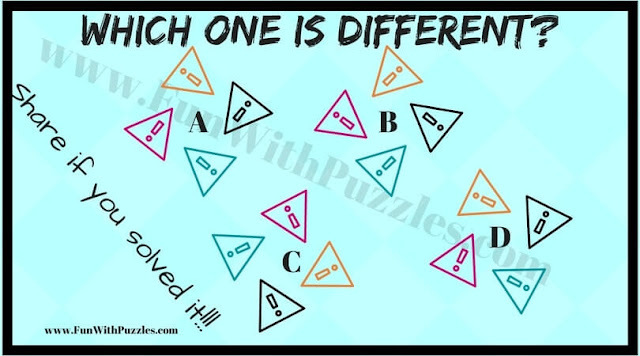 Check it out how many mistakes can you find these picture puzzles?